The advantage of the gorgeous collections of Mac Duggal is that they are designed with one audience in mind: The Fascinating Female. Eliza and Krystal each embraced a long flowing gown with a sweetheart neckline for prom. Eliza stunned in white with blue detailing in style 78761, while Krystal was pretty in pink in style 81838. One of the most popular dresses in the Mac Duggal Black White Red Collection is this evening gown, style 61041. 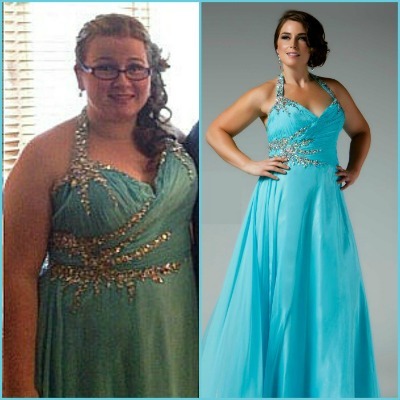 The form fitting bodice and flowing skirt are a hit on the dance floor, and the style is a favorite for prom, homecoming, pageants and all special occasions. Michelle (left) and Sydney (right) both look more like they are headed for the runway than the prom! With a sassy side updo and classic makeup, Sammi stunned and showed off her perfect curves in this full length gown from the Fabulouss Collection, style 81609. 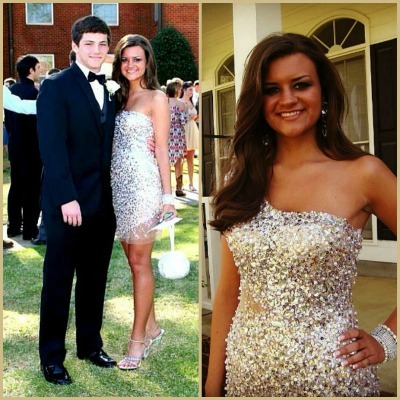 Savannah was crowned Prom Princess at Prom 2013 while wearing this short sequined one-shoulder dress, style 85032. 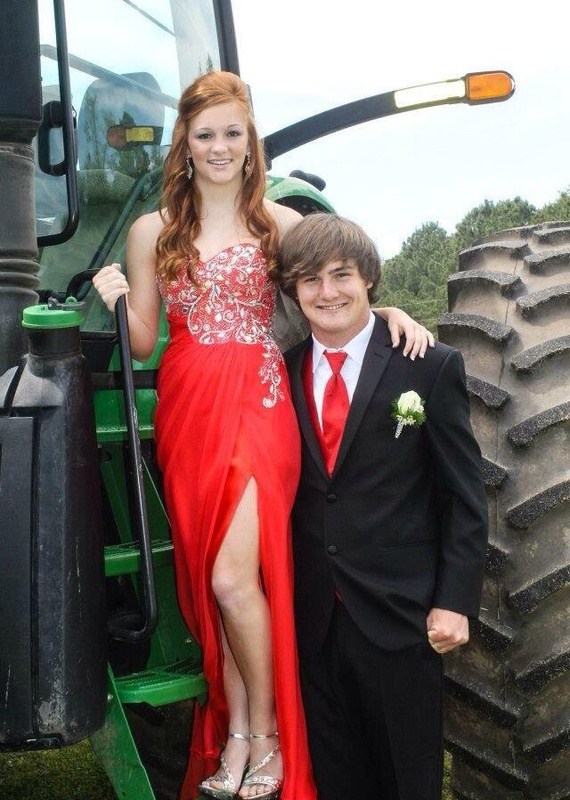 One of our favorite submissions from Prom 2013 was this fun photo from Brooke, who combined the red-hot elegant look of this gown from the Flash Collection with some good old down-on-the-farm charm, posing on the tractor before heading out to the big dance. Talk about country chic! Check out even more photos of Mac Duggal at Prom 2013 on the prom pages at the official Mac Duggal website, as well as on our official Pinterest page! Find your Mac Duggal look in one of our exquisite Mac Duggal Collections. Seriously hard to say who is the model and who is the prom girl!